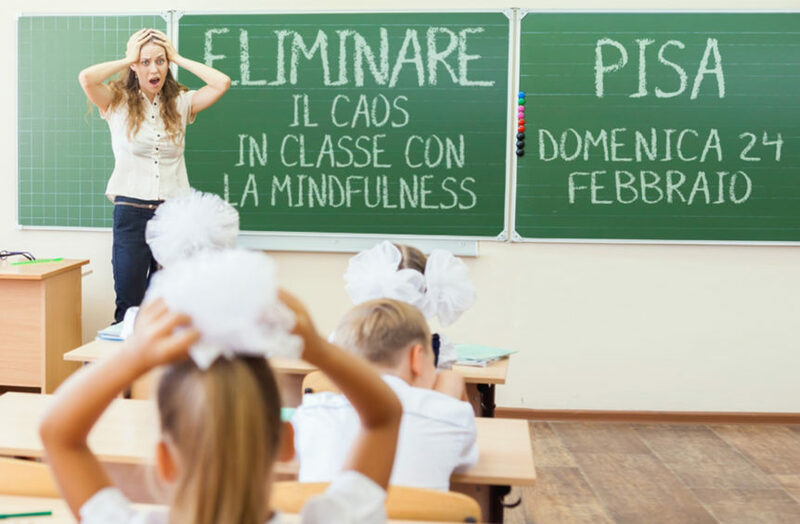 On Sunday 24 February 2019 and Sunday 24 March 2019 two new appointments have been scheduled with the training courses “Eliminare il caos in classe con la Mindfulness”, recognized by the Italian Ministry of Education, University and Research. The training event aims to offer teachers and educators new perspectives and teaching methods to improve the management and communication in the class, contributing to set up an environment in which everyone feels safe and free to learn. The courses are open to teachers of schools of all levels, but are particularly suitable for teachers of Secondary Schools. On this occasion the methods and techniques of ELIMINARE IL CAOS IN CLASSE will be combined with those of Mindfulness, a powerful tool to reduce stress that is validated by the latest results of neuroscience studies. It is a simple tool available to everyone – but especially for teachers – to reduce tensions in the classroom. The course is designed and led by prof. Mauro Sandrini, active for over twenty years in the world of corporate education, university and higher education at national and international level. He led European research projects on methods and technologies for learning and he led the eRID Center for Educational Research and Innovation at the University of Teramo. The courses will be held at Talent Garden Pisa (Loc. Montacchiello – Via Umberto Forti 6). Cost of participation: 70 euros (it is possible to pay with a Teacher’s Card). Language: Italian. All the participants will receive a certificate issued by IRSEF, an institution accredited by MIUR for the organisation of training courses for teachers. To register at the first date (Sunday 24 February), please fill out the form online (without obligation) here. For information, please write to info@eliminareilcaos.it , or call 0544-1680003 from 9 to 20 from Monday to Friday.